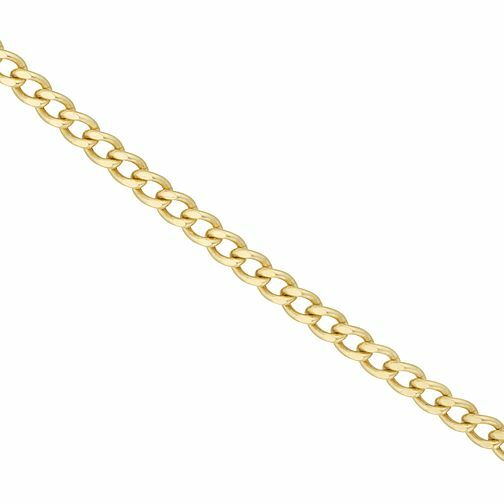 Keep it simple with this stylish 9ct gold hollow curb chain. The perfect finishing touch to your look. 9ct Gold 24" Hollow Curb Chain is rated 4.1 out of 5 by 7. Rated 5 out of 5 by Anonymous from Beautiful When ordering a chain for my locket, I didn't really give it two thoughts but to my surprise when receiving it I was astonished as to how beautifully detailed it was. I'm really happy with my purchase.